PrimeTime Prayers for the P. A. Prime Time Prayers for the P.A. (Public Address system) is a multi-purpose Master Set for principals, directors of religious education, teachers and catechists. In many Catholic schools and religious education programs, prayers, reflections, meditations, reminders and intentions are read over a Public Address system. 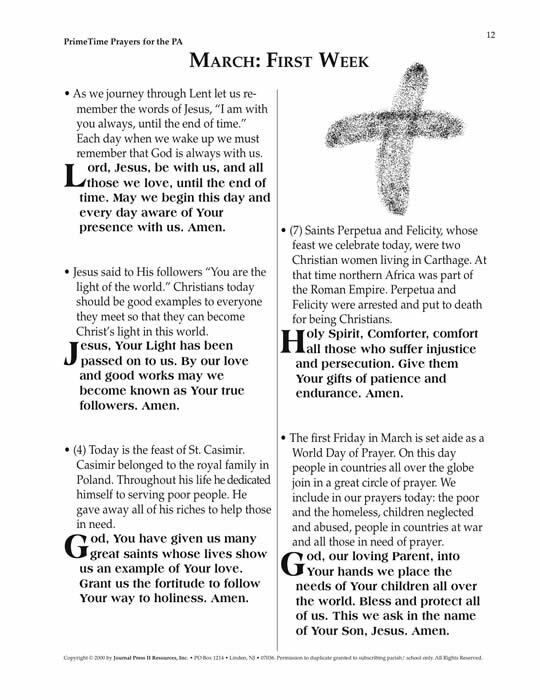 In other places, teachers and catechists like to add brief, seasonal prayers to the traditional prayers that are used to begin the day or the class session. Whether they are read over a P.A. 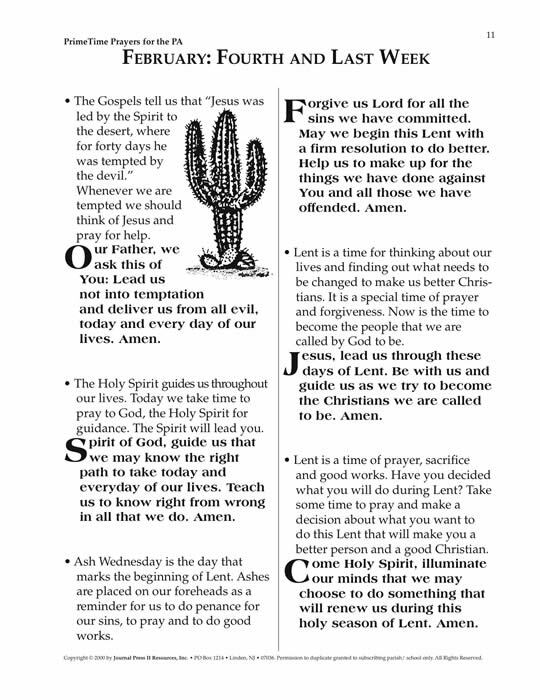 or used in small groups, these handy, reproducible prayers can enrich participantsÕ celebration of the liturgical year, the school year and special holy days and holidays that grace the calendar. Prime Time Prayers for the P.A. offers a wide selection of short prayers that can be used in many ways. Some of the brief prayers are based on the Gospels, others on holy days and special days, seasons and feasts found on the liturgical calendar. Other prayers included in Prime Time Prayers for the P.A. are more general and can be used at anytime. There are prayers for January through June and from September through December. The months are divided into weeks with five prayers per week. The Mosaic Heart Pin (shown at top right) and other pin information is available by clicking. Your purchase (below) will enable the placement of the PrimeTime Prayers for the P.A. MasterSet PDF on your computer. You will receive an e-mail to enable your immediate download for the set. Download OrderForm.pdf for ordering by mail.